The Advocacy for Integrity and Economic Development (AIED) has urged the Independent National Electoral Commission (INEC) to prove its unbiased stand by releasing the total number of Permanent Voter’s Cards (PVCs) collected in the seven polling units where supplementary elections are scheduled to hold in Osun State. “We are deeply concerned about the allegations surrounding the conduct of last Saturday’s governorship election in Osun State. 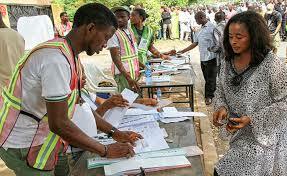 While we praise the electorate for embarking on a peaceful exercise, allegations against INEC as being unbiased are too heavy to be overlooked. “INEC is the most powerful institution in Nigeria, far more powerful than the office of the President, because it holds the key to whatever form or shape the presidency takes. It is therefore a greater threat to national security, if the commission is seen to be favourable to a particular political party or individual.